Soho the Dog on Colbert! Yes. The musical blogosphere has hit Comedy Central! Matthew Guerrieri should be on after the current commercial break. 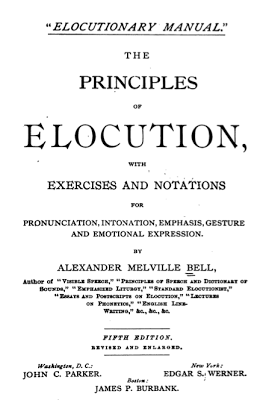 I love matters of elocution, so that love sent me forth on an internet search this morning that took me to Alexander Melvin Bell's Elocutionary Manual, a book I found wonderful in every way. 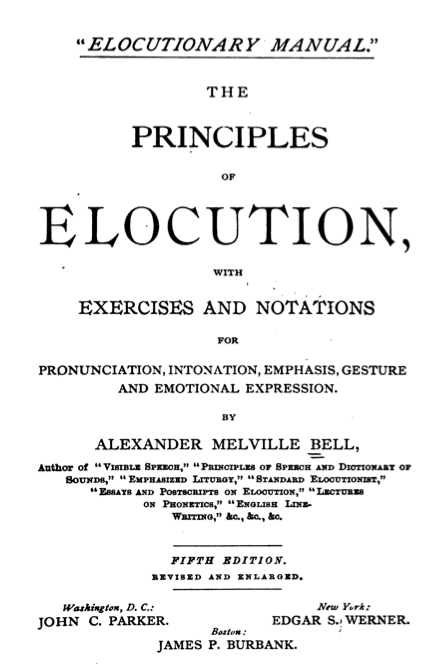 You can find the book in the Internet Archive and download it for free as a PDF. Prepare to be amazed. 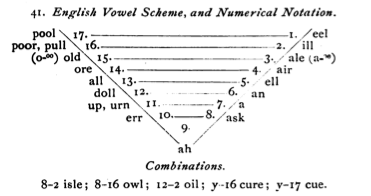 Check out, for example, this scheme of the way vowels work in English on a scale from "ah" to "oo" and a scale from "ah" to "ee." Notice the way your mouth works when you try it! 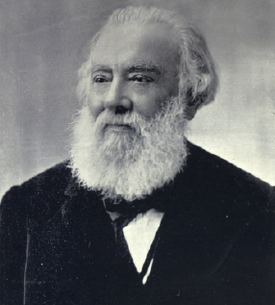 and this "Gamut of Inflections"
Alexander Melvin Bell, by the way, was the father of Alexander Graham Bell. It is pure medicine, during these trying times, to listen to these marvelous musicians play and sing this wonderful duet. I am amazed at the flexibility of the cornetto, and the way it matches the violin (and what a brilliant choice, since it's usually played with two violins)! I love the blend and contrast between the marvelous soprano and countertenor voices, the indulgent array of plucked instruments playing the ostinato, and Ottavio Rinuccini's poem! Raddopian l'armonia gli antri canori. Come vuol mia ventura hor piango, hor canto. And sonorous caves that echo in harmony. Like embroidery on the cerulean mantle of Thetis. But I, in abandoned forests, am alone. I was talking with friends last night about childhood, and what each of us remembered wanting to "be" when we grew up. My first career-related memory involved dressing as a man because I wanted to be in the Army. I wrote a "report" about it in the third grade, complete with an illustration of a happy soldier in uniform walking down a street whistling. My other female classmates drew pictures of nurses and teachers. I did feel like a bit of an outcast. After my third-grade tomboyhood I never had any personal questions of gender identification (in the fourth grade, when I wanted to play "princess" parts in plays, I never got them). I imagine that my "when-I-grow-up" desires must have come from the books I used to read. I used to take out arm-fulls of "Discovery Books" from our public library, and the two I remember reading the most were Leif the Lucky and John Paul Jones. I owned copies of Florence Nightingale and Clara Barton, which were given to me as gifts from well-meaning relatives, but I never took to them they way I did to the books about the men who figured in history. The only historical woman I could identify with as a child was Joan of Arc, but I don't believe that her biography was part of the "Discovery Book" series. I guess that I figured that if I could pass as a man, I could do the kinds of things men could do, which when I was growing up happened to be everything. 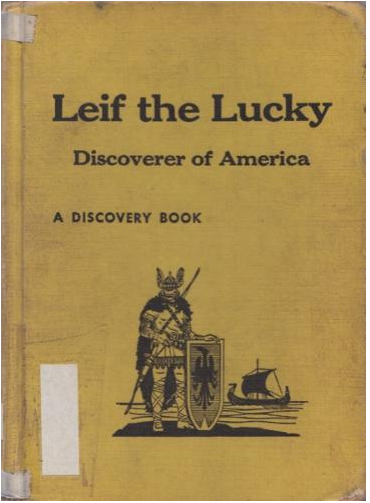 I found out a few nifty things today: Leif the Lucky was written by Erick Berry, and Erick Berry was a pseudonym for Allena Champlin (1892-1974). Allena grew up in New Bedford, Massachusetts, where her father was a librarian, and she became an artist and later a writer. I also learned that Leif the Lucky was published in 1961 by the Garrard Press in Champaign, Illinois (the city 50 miles away where I do most of my playing these days). I know the exact location of where the publisher who influenced so much of my childhood used to be. I followed a link on an overgrown path to Vox Seculorum, where I found a group of composers dedicated to keeping the practice of Baroque music alive by using the styles and techniques of the 17th and 18th centuries to write new music. Much of what I heard and saw there (go explore, there are audio links and links to PDF files) was derivative, but what is Baroque music if it is not derivative? Within the vast forests of music written during the Baroque period in Europe by composers (here's today's IMSLP list) who enjoyed the spoils of the period, for better or for worse, we find codification everywhere: this sounds Italian, that sounds English, these sound Spanish, this must have French influence, although it was written by a German composer. Vivaldi, Handel, Telemann, Fasch, Couperin, Biber, Buxtehude, Lully, Marias, Rameau, both Scarlattis, both Marcellos, and J.S. 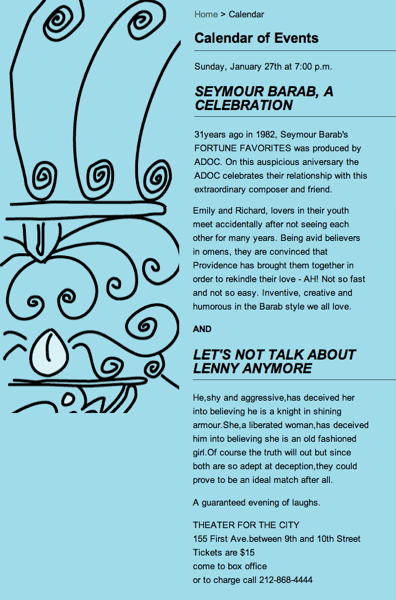 Bach and his sons make their way to the top of the heap (or maybe the top of my heap), and all of them used materials and styles that they learned from other composers in their music. Eventually all the composers on my list were thought of as old fashioned, and people stopped writing music that used devices like figured bass. I get the distinct impression that most musicians who lived during the Baroque Period knew how to realize a figured bass at sight. These days figured bass is relinquished to something you study in analysis classes, and people who do not specialize in playing harpsichord or playing with harpsichord have little facility with it. I was impressed with the composers I found on the Vox Seculorum roster of members, particularly Hendrik Bouman (here's a piece he wrote for orchestra). It turns out that Bouman, who is from the Netherlands and now lives in Canada, was the original Harpsichordist of Musica Antique Köln. He has enjoyed the opportunity to spend his entire career as a Baroque musician without having to give up the conveniences of central heat, instruments that are built using technologies and materials that allow them to remain in tune, indoor plumbing, access to collections and histories, and modern methods of travel and communication. And he writes Baroque music that I can enjoy the same way I would enjoy music written by the composers who sit on the top of my Baroque heap (listed above). I was also very impressed by Gianluca Bersanetti, an Italian composer who lives in Los Angeles, specializes in early childhood education, and writes music in his spare time. I don't usually go for movies that are blatant historical fiction, and when I do, I am often disappointed, but I was not disappointed with Mozart's Sister because of the quality of the acting, the quality of the props, the quality of the lighting and direction, and the quality of the music, which was written by Marie-Jeanne Séréro. The music he wrote as Wolfgang's sister Nannerl's music is distinctly un-Mozartian (in the Wolfgangian sense of Mozartian), and I found that it helped me to accept the plausibility of the person and events being presented, while allowing me to fully know that the film was a fiction. The mainly-Maynard Solomon-informed Wikipedia article tells us pretty much what we know about Wolfgang Amadeus Mozart's older sister. The film's representation of Leopold Mozart as a young father is quite plausible, and, while the character of Anna Maria, the mother of Nannerl and Wolfgang, is charming and loving, she doesn't look at all like a woman who had gone through seven pregnancies and/or one who had lost five children in infancy. The film does have its faults (it begins in winter, and within a few days it looks like midsummer), but it also presents the realities that a non-noble young woman of talent and ability would have faced during the 18th century in Austria and in Paris, if she wanted to develop those talents and abilities and become a composer. This film poses a good answer to the question of why we have so little 18th century music written by women, or at least music written by 18th-century women who did not use pseudonyms and/or dress as men. If only I could be there! What a program, and at what a bargain! Sunday January 27th at 7:00 p.m. Imagine a world where students learned the basics of how to read and how to write in elementary school. Imagine a world where students were not asked, even if they were able, to continue to read or write at an appropriate grade level once they reached middle school and high school. Imagine a world where instead of reading literature in high school, students would read summaries of books, and then they would supplement their "reading" with commercial film adaptations of books. Imagine a world where students who were admitted to college were unable to read or write at a high enough level to do college work. Imagine a world where instead of reading books as adults, people (who were not visually impaired) would listen to books read to them by machines. They would be read by well-known actors, and sometimes even by the authors themselves. People would listen to them while driving, while walking, while eating, and while exercising. Imagine a world where the very thought of actually reading a book with your own voice in your head would be more difficult than having someone else read it to you by way of a machine. Imagine if you simply stopped reading books entirely. Imagine, after years and years of this, how narrow your world might become, and how dependent on a machine and an industry that makes products to play on it you would become. Imagine a world where children sang songs, and students learned the basics of how to read and play (or sing) music in elementary school. Imagine a world where students who enjoyed music had their school district's music programs eliminated from the curriculum, so whatever skills they might have developed would be forgotten. Those students would also get a message that music skills and musical knowledge do not matter. Imagine a world where this doesn't seem to bother most of the parents and most of the administrators. Imagine a world where instead of playing music and singing music with your friends and family, or hearing people play music at home or in concerts, you only listen to music played by other people by way of machines. This music would be played and sung by well-known musicians, and sometimes even by the composers themselves. The music-playing devices would becomes so small and so flexible that it would be possible to have a recording of any piece of music instantly available at the touch of a button, and a person could listen to music while driving, while walking, while eating, and while exercising. Imagine a world where the very thought of playing or singing with your own voice would be too difficult because you forgot what you might have learned when you were a child, and imagine that you didn't know anyone who even played or sang, so the only music you heard came to you through electronic devices. Imagine if it were unremarkable to have recorded music being played at important ceremonies like weddings (and inaugurations). Imagine, after years and years of this, how narrow your world might become, and how dependent on a machine and an industry that makes products to play on its devices you, and everyone you knew, would become. "How far is anyone justified, be he an authority or a layman, in expressing or trying to express in terms of music (in sounds, if you like) the value of anything, material, moral, intellectual, or spiritual, which is usually expressed in terms other than music? How far afield can music go and keep honest as well as reasonable or artistic? Is it a matter limited only by the composer’s power or expressing what lies in his subjective or objective consciousness? Or is it limited by any limitations of the composer?" If you have not read it, I highly recommend reading Charles Ives’ Essays Before a Sonata. 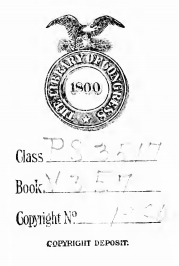 It's in the public domain, and there’s a PDF of the 1920 Knickerbocker Press edition in the Petrucci Library. Even though the performance of the John Williams piece that President Obama and his 2009 Inauguration committee ended up being problematic (stringed instruments and freezing temperatures don't mix), the gesture of having a piece written for the occasion was one that I and many of my fellow non-pop American musicians and composers really did appreciate. Given the care and thought that went into the 2013 inauguration, I was expecting something with more "gravitas" than simply having commercial pop singers sing a few well-known patriotic songs as the musical portion of the event. There is room at these events for poetry, discussions of art (at the dinner), food, and fashion design, but there didn't seem to be much of a place for serious music. I have been told that there was a string quartet that played at the dinner, but if the musicians had been seen on camera, it would have made a cultural statement, even if, as I often am when I play for events, they were only hired help. The idea of the pop singers singing the National Anthem and America the Beautiful in ways that altered their meter and style didn't bother me as much as the fact that Beyonce sang her rendition with a recording of the President's Own rather than with live musicians (I do understand the key she required is not a band-friendly key, but that is not the issue). Jennifer Hudson also serenaded the first couple to the accompaniment of a tape of musicians and back-up singers. This kind of thing drives yet another nail into the coffin of the practice of music as a living art, one in which instrumentalists contribute at least enough to be present in person. It gives the message to the greater public that we do not matter, and they believe what they see. I understand that the President has a lot to deal with, and I have put many of my feelings about the lack of representation of non-commercial American music on the back burner for much of my adult life. I suppose I was hoping, after the commissioning of a piece of music to mark the occasion of an inauguration in 2009, that it might happen again, and it might happen in a way that would make people take note of the fact that "classical music" hasn't been exclusively European for a good 150 years, and that much of the greatest music being written today is being written by American composers. Perhaps you (or your staff) could consider commissioning a short inaugural brass fanfare for the 2017 inauguration. Brass players, particularly the ones in the excellent "President's Own" ensemble that plays 100-plus-year-old Sousa marches for these events, are used to playing well in the cold. There are composers who write extremely well for brass instruments, like Eric Ewazen, an American composer in his late 50s who is almost a household name among brass players. Commissioning a fanfare (and I believe that Eric Ewazen could write one equal in impact and emotional content as Copland's "Fanfare for the Common Man") would send a message to the country and to the world at large that American music of the non-commercial and non-pop variety is something to be valued. Right now we, as a whole class of people, spanning through many generations, have pretty much been marginalized. Please consider this request, and please pass it forward to the people who will be planning the next Inauguration. Perhaps it wasn't the smartest idea in the world to commission a piece for violin, clarinet, cello, and piano for the 2009 Presidential Inauguration, since these things take place outside in January, and in order to be heard the musicians had to mime to a pre-recorded tape, but it was a nice gesture to the community of musicians and music of lovers who think beyond Beyonce, Kelly Clarkson, and even James Taylor when it comes to ceremonial music. I wish that someone on the committee might have had the cultural foresight to commission some appropriate outdoor music, like, perhaps, a new brass fanfare for today's inauguration. It could have been short, but it could have still been substantial, and could have marked the moment in a way that would be significant for those of us who keep the practice of non-pop music alive. There was talk about painting and sculpture at the Inaugural lunch, and there was poetry at the ceremony. Why does "serious" music seem to be off the cultural radar? My musical wishes for President Obama's second term? Consider the fact that classical music is not, and has not been (at least during the last hundred years), an exclusively European "art form." There was a classical music concert at the White House in 2009, and I believe that was it for President Obama's first term. Maybe the White House can set a cultural agenda this term that includes more classical music. Is it too much to ask? I guess that talking to the audience before a concert is something that audiences enjoy, and I suppose that my nostalgia for the "fuddy duddy" concert is something I share with fewer and fewer people as I make my way into what some people might call the "older generation." Earls and Countesses wear jeans when they appear on television, and many of us commoners address people by first name as soon as we're introduced. I suppose the ways of the world have changed, so I believe it is important that performing musicians who address audiences, whether they are conductors or instrumentalists, make sure that they do it in a way that is appropriate for the audience and for the medium. We musicians may be doing the act of performing, but that doesn't mean we are in the business of providing superficial entertainment. We are still doing something that many of us feel is at least equivalent to a sacred rite. Really. I suppose we all need to learn how to talk to audiences, and we have to learn to do it properly, because the talk before the downbeat might just be here to stay. I have heard young instrumentalists talk to an audience of people twice their age in a condescending manner. I have heard young conductors try to sound old and experienced, and I have heard people address audiences as "you guys," which is an instant turn-off to me, particularly when that person might be as remote as Antarctica if I were to go backstage. I have also heard conductors reveal very interesting information about the music they are about to play to an audience, and sometimes it isn't information that the conductor previously shared with the musicians in the orchestra. Note to conductors who have something to say that might help the musicians play a piece with more understanding: we do want to know about it before the performance. I have never felt this way about a tree before. I remember so vividly the arbor day that Ben came home from third grade with a little stick of a pine tree that he was instructed to plant. We found a place in our front yard that wouldn't interfere with the various gas and plumbing lines in the ground. We protected the little tree in the winter, and we mowed around it in the summer, and it grew into a marvelous tree that shaded the house, dropped pine cones, and even hosted a nest or two for birds. My greatest worry this past spring was that its branches would reach out into the street, and that we would have to give it a trim. Our neighbors, who knew the arbor day ritual well, thought our tree was too big for the house, but Michael and I were proud of it, and have always been excited to watch it grow and thrive. Then we had a summer drought that killed pine trees all over town. 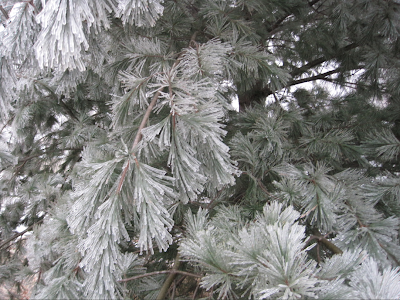 It even killed pine trees in the yards of people who took meticulous care of their gardens. Our white pine seemed to remain alive through the summer, and though it did have a few brown needles in the fall that remained into December, Michael and I thought that it was just part of the growing process. We were in denial. Our tree is no longer alive. We are going to have to cut it down. I always get excited when I meet a class of music appreciation students for the first time because I know that I will be exposing them to things that they have never known before. But, in these digital times, those of us who teach are faced with the inadequate preparation that high school (and, yes, even college) has given students to be ready to have experiences that stimulate the senses. Many of the social activities that young people engage in for pleasure, like recreational excessive drinking, drugs, electronic games, either dull the senses or sequester them. And, like mice in a maze, we, as a "species" are gradually "wiring" ourselves to respond to electronic impulses, like the arrival of of an e-mail message or a text message. That "ping" often takes center stage in our realm of attention. I used get a little "ping" of dopamine when our home phone rang, but now, with all the annoyance calls, political calls, and sales calls, that ping is mostly augmented with feelings of annoyance and disappointment. I'm becoming somewhat "wired" as well, and I don't like the fact that it is happening. I find that I will stop what I am doing to read an e-mail message, and I waste too much time zooming around the internet. Like everyone who uses any kind of electronic communication device, I need to seriously balance the "virtual" with the "real." We live in a relatively quiet place so, electronic annoyances in the outside world (away from home, phone, and hearth) are relatively few. I have the luxury of not having to desensitize myself as often as city dwellers or people who constantly have their cell phones in their hands, and connect many of their pleasure responses to stuff they read, hear, and see through them. I have spent nearly half a lifetime (that's hoping for a good 40 more years) sensitizing myself to music. I have sensitized myself by playing it, singing it, writing it, listening to it, and analyzing it. Sensitizing myself to sound, and observing the way it can change and express complicated feelings, offers a tremendous number of rewards over the long term. I liken it to scratching at a block of cedar (or sharpening a cedar pencil). You can smell the unsharpened pencil if you try, but when you scrape the surface and release the full aroma, it is a totally different experience. Sure, you have to keep scratching the surface of music (which is an enjoyable process in itself) in order to have it give back. I find that over time (and after a lot of scratching) I hear and experience more and more in music of quality. I also find that the absence of quality becomes apparent after a lot of experience with high quality music. I was thinking about this last night during a rehearsal of Respighi's "Pines of Rome." There's something poly-sensual about the piece: and listening to it (or playing it and listening from the inside) you can almost smell the cedar and feel the experiences of the ancient civilizations that watched the trees grow. Respighi must have been highly sensitized. This is a terrific recording, but even though it is a concert recording, it doesn't feel quite the same as hearing it played by living and breathing players in real space. We just have to work a bit harder to allow the music to do its magic when we listen to recordings. What Does Storing Music Have to do with Refrigeration? My father used to collect music cabinets that were used during the 1930s. They were (and still are for people lucky enough to have them) the ideal way of storing oversized pieces of music (and even normally sized pieces of music). 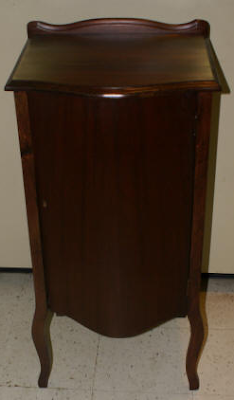 If you had a piano in the 1930s, you probably also had a music cabinet. My father's reason for collecting them was utterly practical: to store music. He also knew that when they stopped making music cabinets like this one, such things would never be made again. I came across an interesting blog post this morning about the rise of the electric refrigerator during the 1930s, and noticed that the refrigerator in this ad could be purchased from the San Antonio Music Company. Look at the design! The model for the first electric refrigerators seems to have been the music cabinet, and music stores (or at least this one in San Antonio) were getting in on the action. Of all places to encounter a piece for viola d'amore: I found this on Andrew Sullivan's blog. It is a computer-generated piece for harpsichord and viola d'amore "written" by the Iamus computer. Upon first hearing I was rather impressed that a computer, given certain bits of information about the instrument, could generate a piece that could be played on the viola d'amore. 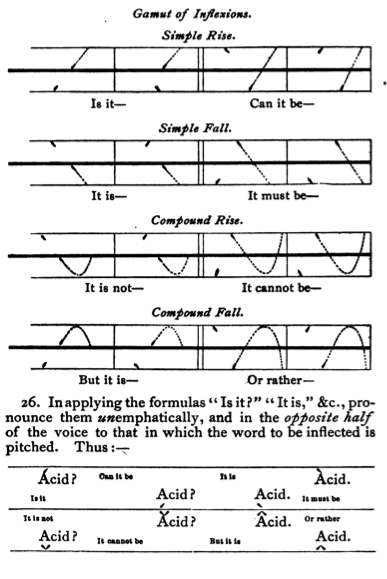 I imagine that if you feed in information about the more resonant pitches, the better double stops, and possible harmonics, and pepper it with a few textural techniques (like trilling, tremolo, harmonics), and you introduce ideas of imitation and a sense of form (probably pre-programmed into the Iamus machine), it would not be rocket science (or maybe it would be) to randomly generate a piece like this. What makes the piece seem successful is Sviatoslav Belonogov's excellent viola d'amore playing and Gustavo Dias Jerez's excellent harpsichord playing (and obvious love of the medium). 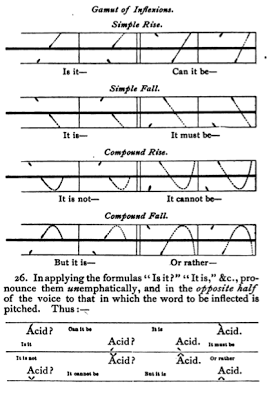 If this "test" proves anything, it is that it is the musicians who "make" the music out of what composers write. Lesser musicians, or musicians less vested in the uniqueness of the experiment, wouldn't do squat for this assortment of musical patterns. A second hearing (without watching) revealed a few accidental instances of interesting tone color interplay between the harpsichord and the viola d'amore (I attribute them, however, to the musicians doing the playing), but for me it revealed that there isn't much that I would consider "musical" in the piece itself. Listen twice, and see what you think. It takes time to really appreciate Mozart. Sure, you can like Mozart's music because it's pretty, and you can even like Mozart's music because, on the surface, it's beautiful. The thing about Mozart that makes his music great is the way it makes musicians behave. It makes them listen to one another in new ways, and in the case of pianists, it makes them listen to themselves in new ways. It makes non pianists take care of their intonation and the clarity of their sound, and it makes them strive to be reverent and tasteful while pouring their hearts out. Sometimes it is difficult, when listening to recordings, to remember that music making is a highly spontaneous activity that is disguised as a scripted activity. What is amazing about Mozart is how, in the hands of great musicians, by simply following the pitches, rhythms, dynamics, and articulations, the music making can go immediately to a "place" that is beyond the normal. Mozart is what makes us grow as musicians. As Rossini put it (and I'm quoting approximately), "Mozart was inspiration in my youth, the envy of my adulthood, and the comfort of my old age." A great performance of the slow movement of the "Dissonance" Quartet can be an almost transcendental experience because the music compels the musicians to reach beyond themselves. Musicians learn from Mozart, and Mozart keeps teaching. He elevates our expectations from music by other composers, and teaches us to appreciate the wholeness of natural expression. Listen to Dinu Lipati play Mozart on the piano, and notice how Mozart brings out the best in him. In this world of increasing commodification when it comes to things musical it is easy to forget what music (particularly the "classical" kind from the actual Classical Period) does for us as musicians. It allows us to be eloquent, or at least to make an attempt at being eloquent. In Mozart we have a composer who could write music that always feels good to play, no matter how accomplished a player you happen to be. The better you can play, the more you get out of Mozart. Playing Mozart allows us to step, whether individually or collectively, out of our usual palette of musical colors, and find a special kind of emotional stimulation that challenges us to be more honest, play more in tune, play with cleaner articulation, play with a more singing sound, and to give every phrase its place in the hierarchy of a given piece. Mozart sounds new because his music has a purely expressive purpose, and that expressive purpose comes out differently for all musicians, even when we follow all the "directions" to the letter. That individual expression happens wherever you find Mozart. It even happens when I play his music (with my sad lack of any technique) on the piano, and it happens when a teenage wind player first learns a Mozart concerto. It happens in Mozart's early string quartets, and it happens (sometimes more easily, due to his incorporation of Haydn's innovations) in his later string quartets. It happens when a group of young musicians play his music (with non-standard instrumentation) on top of a dump in Paraguay, or when a great orchestra plays the Jupiter Symphony for the hundredth time. This meeting of the musical minds is what I believe we should all aspire towards, from the perspective of a composer as well as from the perspective of a performing musician playing any instrument. The other day I was listening to a segment of a podcast that discussed hallucinogenic drugs and the reasons that people enjoy taking them. I have never taken a hallucinogenic drug, but the feelings that people describe about the pleasures of their use seem to be the same kinds of pleasures that I experience with music. These pleasures happen mostly while I am playing, but sometimes they happen when I am listening, and sometimes (rarely) they happen when I am writing. I have to be in too much control of the here and now (and the when, how, and where) when writing, so a poly-sensual state is highly impractical. The people on this podcast talked about hallucinogenic drugs "re-wiring" the brain. I believe that a lifetime of daily music making has a profound effect on the active brain as well as the subconscious mind. I do believe that music "re-wires" the pleasure centers in the brain. The rewards are slow (and they rarely come from the outside), and true progress is very difficult to measure, but part of the pleasure is the "road" itself. Getting to the point where you can have the physical control to do what you want with a given pitch or a given phrase is a "path" with guideposts, but everyone's path has a different length, a different shape (though never a straight line), and has a different terrain. Most of my greatest musical experiences are private, and the kind of intimacy that results from sharing musical experiences is, I have found, best expressed privately, because words really fail. Musical intimacy is something that cannot be forced, and it is something that can happen with people you otherwise don't necessarily have a close personal bond with. It can also happen with people you otherwise are unable to communicate with through spoken language. This is what musicians do, and every musician reading this (regardless of their experience with hallucinogenic drugs) probably knows exactly what I am talking about. Music is my drug of choice. It is the way I organize the world, and the way I express myself best. It is what I do when I am alone. It is the way I communicate with dead people and cultures that have crumbled. It is often what I dream about. I keep this blog to share thoughts about music with people who understand, and I know that there are indeed a great many people who do. 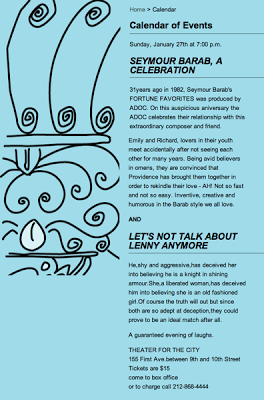 This brings me to the "media" part of my ramble, because, despite my attempts to feel otherwise, I still mourn the loss of the early musical blogosphere: the lively one that I found so stimulating during the early days of bloggery (I began in 2005). In the above linked-to post I mentioned Norman Lebrecht's blog, which has somehow taken over the musical blogosphere. It seems to be the only blog with the lively kind of musical commentary that makes the enterprise of bloggery enticing. And the man who worked so hard to claim that classical music was in the process of dying seems more devoted to evaluating obituaries so he can let readers know exactly "whom" has died (that you should have known about) than the stuff that keeps music alive. Most of his entries have very little to do with the kind of stuff that stimulates musical thought and inspires composers to compose and instrumentalists and singers to practice. What Mr. Lebrecht has done is created a "gossip rag" about the people who move about in the most publicized of musical circles. He has created the "People Magazine" of classical music. I have taken part in the commentary (and there are some intelligent and thoughtful people who take part in his "forum," though Mr. Lebrecht only seems to join the discussion when someone "important" leaves a comment), but the experience of doing so feels empty for me. It feels like I am contributing to a cause that is more concerned with a "who's who" in music than a "what's what" or even a "how's how."